First, we wish to take this opportunity to welcome all of our new and old tenants to our family-run business and as a family; we appreciate how challenging and stressful it is relocating house. That’s why at Jenkinson’s Property Team, we will attempt to make it as smooth as possible for you and your family. We will enable you to find what you’re searching for in and around Liverpool. If we haven’t got what you’re looking for we will then log you onto our tenant database and we will help you keep up to date with (SMS) text messages and emails when new properties become available. 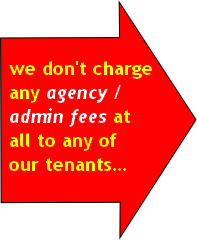 We do not charge any agency / admin fees on any of our properties. We believe that relocating home is hard and stressful enough without added charges on top and yet still not certain to become successful on getting the property applied for. Leaving the tenant unsatisfied and out of pocket. We still conduct all tenant credit / reference checks. It simply comes out of our own pocket. Our main objective is to please both tenants and landlords. Happy Tenants, Happy Landlords, Happy team. If you wish to leave your contact details with us, you will be the first to hear from us as ideal properties become available. Thank you for choosing Jenkinson’s Property Management Team. As a minimum we will require satisfactory references from your employer (or college), and a previous or current landlord. We might also require a personal reference and sometimes a guarantor. In addition a credit check will be undertaken. We might use the services of an independent referencing company to get and evaluate these references. We don’t charge any fee’s for credit checks we as a family run business pay for them as we know how hard it can be moving home. Most of our business competitors will charge a fee up to £100.00 per person. To move into the new property, you will need the first month’s rent and a first deposit if stated by the landlord. As we do pride ourselves on helping out tenants as much as we can. We can often be adaptable and accept deposit payments in instalments. This will depend upon the circumstances, landlord recommendations provided and the landlord’s permission. Jenkinson’s Property Team will write to the gas, electricity and water suppliers alerting them of meter readings at the commencement of the tenancy. You will also be asked to complete a direct debit/standing order mandate for the per month rental payments. This will be payable every month in advance and will be collected on a set date as stated in the tenancy agreement. For joint or multiple tenancies, only one mandate can be accepted. DSS Welcome depends upon landlords and will need to bring proof of income, i.e. National Insurance Number, proof of identification and utility bill. Jenkinson’s Property Team is not accountable for the management of non-managed property’s you will be provided the landlords contact details in case you need to report any maintenance problems. An intensive internal and external inspection of your property can be carried out on a regular basis. Following the placement of a new tenant, an inspection is carried out monthly for the first 3 months, then each and every 6 months thereafter to see if the property is being cared for satisfactorily. With an intensive range of properties available in and around Liverpool and the surrounding postcodes, register your details with us today so that we can match you to your ideal property and keep you updated for any new properties that become available. On 0151 345 1730. Important: Tenants are reminded that they should only make contact in the event of a genuine Emergency only. If it is considered not to be the case and the matter could have waited to be reported during normal working hours, then you may well be charged for the extra costs incurred.